What if you could buy products from the lock screen of your phone? With Muse you can. 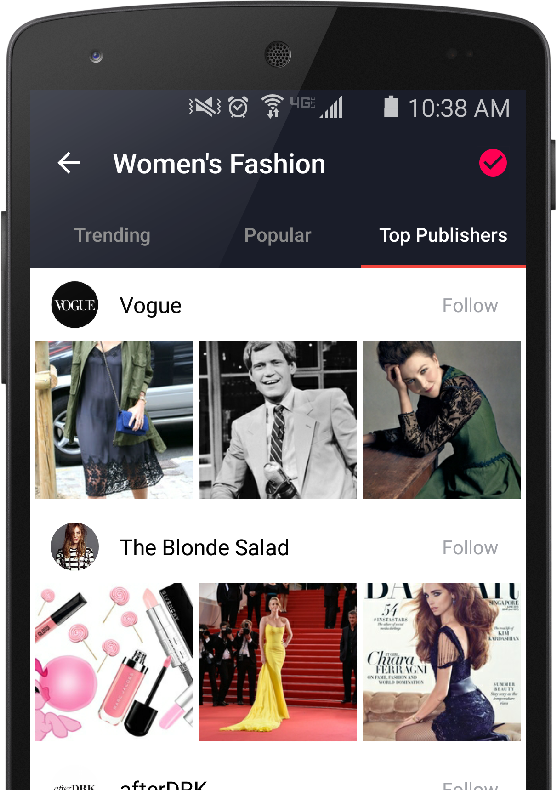 Muse is the first app that allows product discovery and shopping from the lock screen. Very cool, we must say! We are proud to showcase Muse one of our publishers part of the Two Tap Gateway. Right on the lock screen, start discovering content through the Muse carousel. You can follow Muse publishers, select channels and explore curated topics. Your lock screen becomes more personalized and relevant by learning tastes and your style, from interaction. The lock screen carousel of images allows shopping at your fingertips without unlocking the lock screen. There are over 2,000+ stores on Muse, including: Barney’s, Shoptiques, Art.com, Gucci, Home Depot and many more. Discover products on the lock screen and when a product is spotted and desired to be purchased, simply "Tap” to purchase. This opens up the Two Tap Cart where the user is guides through a seamless checkout experience. We sat down with the founder of Muse, Andrea Riposati to learn more about what went into the development of Muse and why they implemented Two Tap for the checkout process. Muse is a leading app to shop from your favorite tastemakers – right on the lock screen. 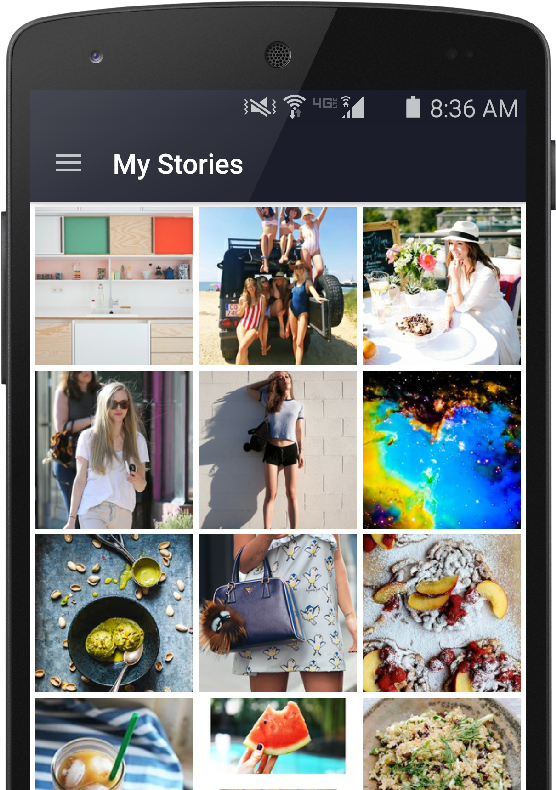 Muse showcases a carousel of curated stories by the world’s best tastemakers on the lock screen and enables users to shop the specific items purchased by those tastemakers. Who is using your product? 70% of our users are sophisticated women with higher education, who follow tastemakers on social media and are very grateful to have a single platform that bridges the gap between content and ecommerce. What do users love about your product? Users really love how easy and beautiful it to shop from our stories. Users love our design, the easy-to-use interface and the beautiful content. What were the challeges faced prior to implementing Two Tap? First, prior to Two Tap, we had to form partnerships with every single store we worked with. That was a time-consuming effort, that drained resources from other activities. Second, we had to maintain and update our own checkout system. Now, we rely on a trusted partner to expand the list of retailers we can work with. We are truly amazed by Two Tap’s impressive ability to scale the number of retailers. We don’t have to worry about cart and checkout – as Two Tap keeps releasing new amazing features every month. Two Tap is doing for ecommerce what AWS did for IT. How did using Two Tap change the way your users interact with your app? Using Two Tap has multiplied the opportunities by 100x. With Two Tap, Muse users access products from 2,000+ leading online stores. Before, we only had a limited selection of products. Thanks to Two Tap impressive store growth (+150% in less than a year), now we can feature thousands of new products. Muse stories have become much more meaningful while users loved the introduction of Two Tap. Welcome Muse and download the Muse App on Google Play here.